The Topkapı Palace is a large museum in Istanbul, Turkey. In the 15th century, it served as the main residence and administrative headquarters of the Ottoman sultans. Construction began in 1459, ordered by Mehmed the Conqueror, six years after the conquest of Constantinople. Topkapı was originally called the "New Palace" (Yeni Saray or Saray-ı Cedîd-i Âmire) to distinguish it from the Old Palace in Beyazıt Square. 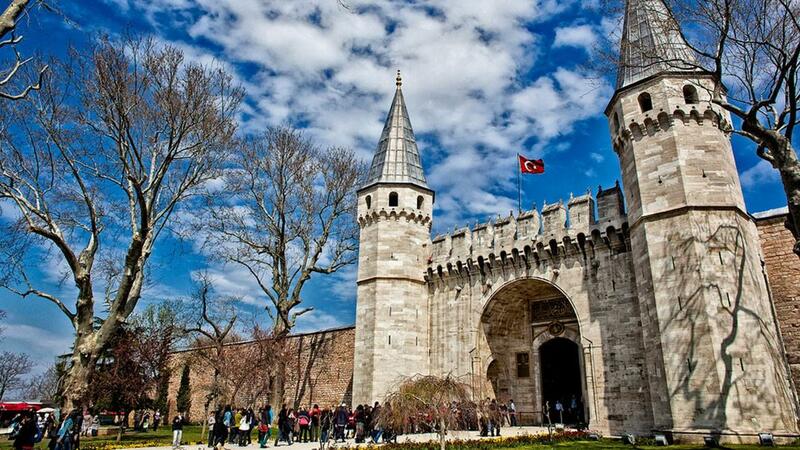 It was given the name Topkapı, meaning Cannon Gate, in the 19th century. The complex was expanded over the centuries, with major renovations after the 1509 earthquake and the 1665 fire. The palace complex consists of four main courtyards and many smaller buildings. Female members of the Sultan's family lived in the harem, and leading state officials, including the Grand vizier, held meetings in the Imperial Council building. After the 17th century, Topkapı gradually lost its importance. The sultans of that period preferred to spend more time in their new palaces along the Bosphorus. In 1856, Sultan Abdulmejid I decided to move the court to the newly built Dolmabahçe Palace. Topkapı retained some of its functions including the imperial treasury, library and mint. Following the end of the Ottoman Empire in 1923, Topkapı was transformed into a museum by a government decree dated April 3, 1924. The Topkapı Palace Museum is administered by the Ministry of Culture and Tourism. 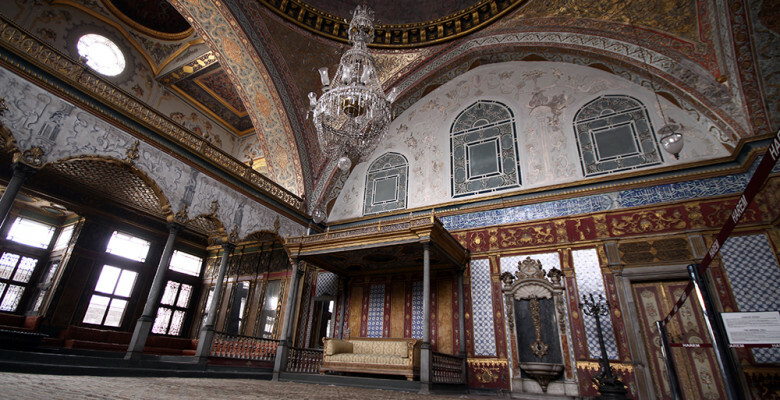 The palace complex has hundreds of rooms and chambers, but only the most important are accessible to the public today, including the Ottoman imperial haremand the treasury, called hazine where the Spoonmaker's Diamond and Topkapi Dagger are on display. The museum collection also includes Ottoman clothing, weapons, armor, miniatures, religious relics, and illuminated manuscripts like the Topkapi manuscript. The complex is guarded by officials of the ministry as well as armed guards of the Turkish military. Topkapı Palace is part the Historic Areas of Istanbul, a group of sites in Istanbul that were added to the UNESCO World Heritage Site in 1985.